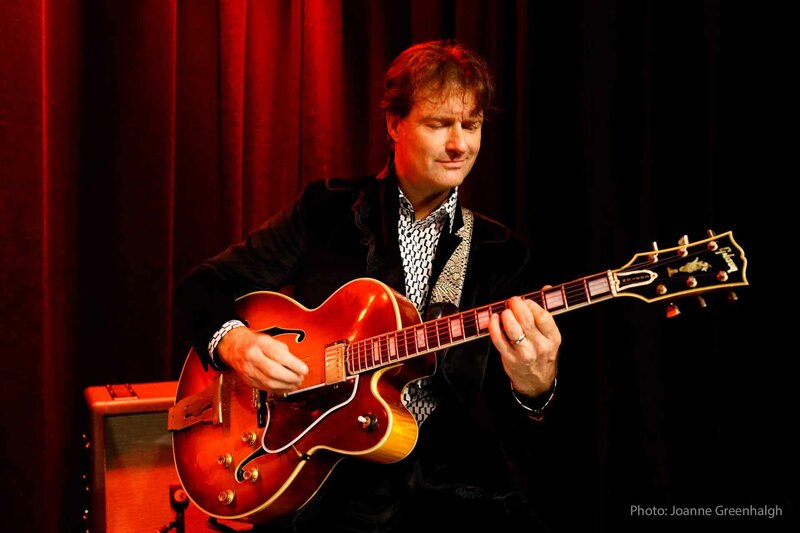 I work as a guitarist, composer, arranger and bandleader. 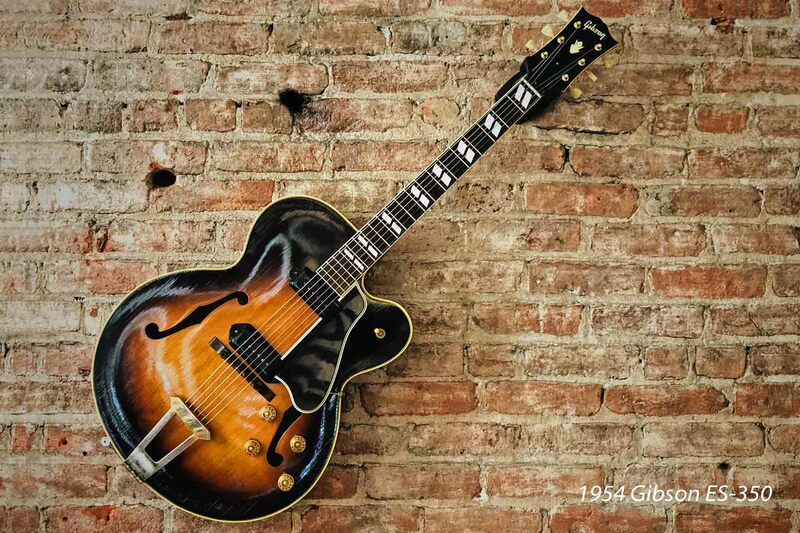 A big Wes Montgomery and George Benson fan, I studied jazz guitar in Arnhem, Holland. Over the years I played in many bands and projects: Zwiebop, Tribehouse and Doña Guarapita, to mention a few. 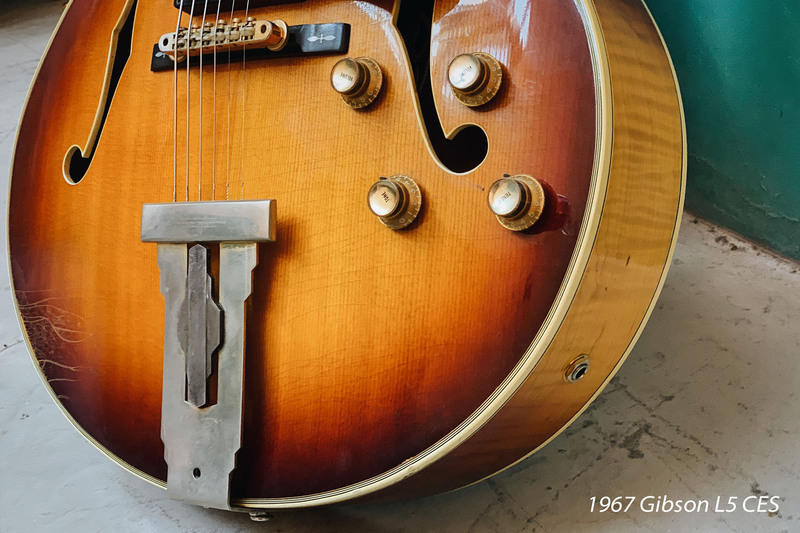 I have a beloved collection of vintage Gibson guitars, creating a distinct sound with a 1969 ES-150, my own special stoptail conversion with an interesting combination of pickups. 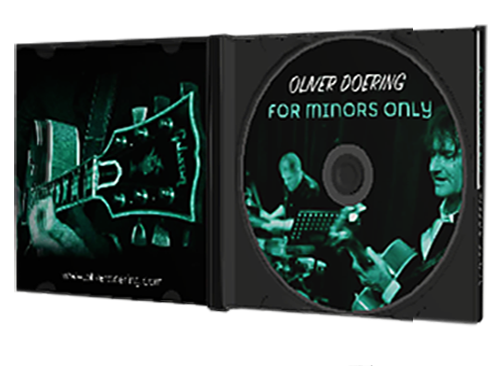 Among other activities I provide a vintage guitar YouTube channel with guitar and effect demos and run an informal jazz club "Klub der Töne" in Germany. 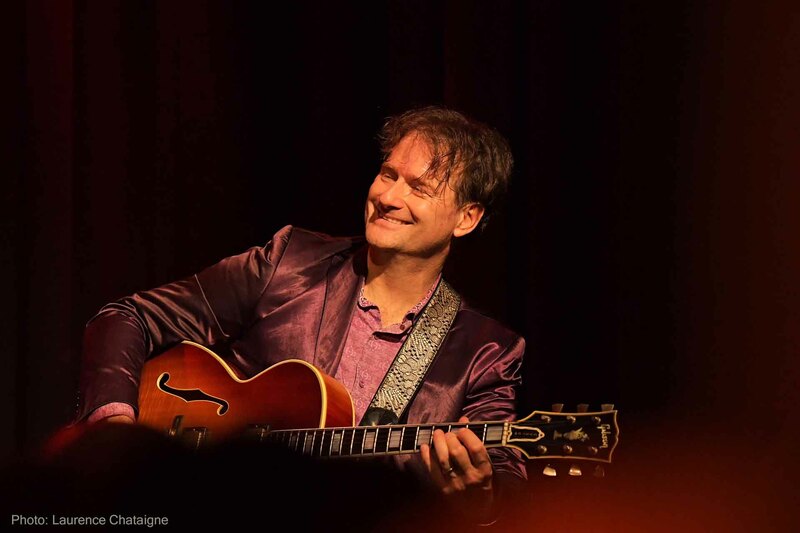 Subscribe to my mailing list for info about upcoming gigs and new cds! The Orange Sunday is a monthly event - often with spontaneous guests - that takes place at the club Klub der Töne. 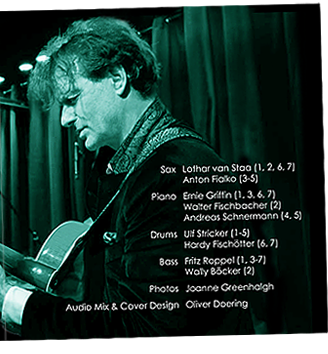 I created it as an informal Jazz club, especially for that show. For every Orange Sunday (the first Sunday of every month), I combine a new, high quality session band. Join us for spontaneous musical adventures from Soul to Jazz at our funky little venue with a unique atmosphere. 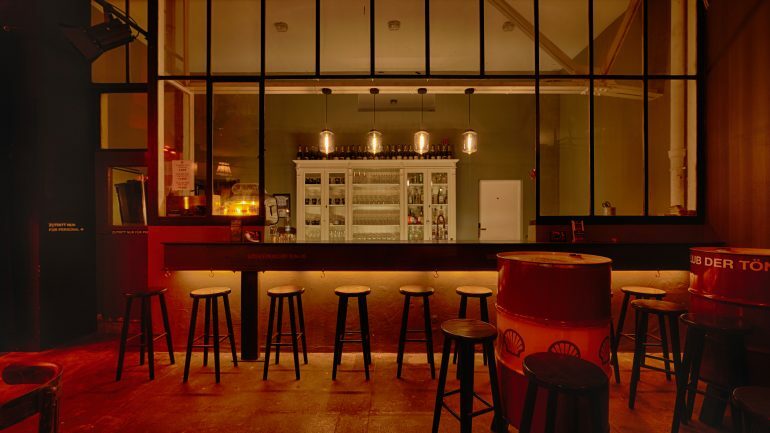 Sit back, get a glass of wine and listen so some high quality jazz in the exciting atmosphere of the old industrial building. 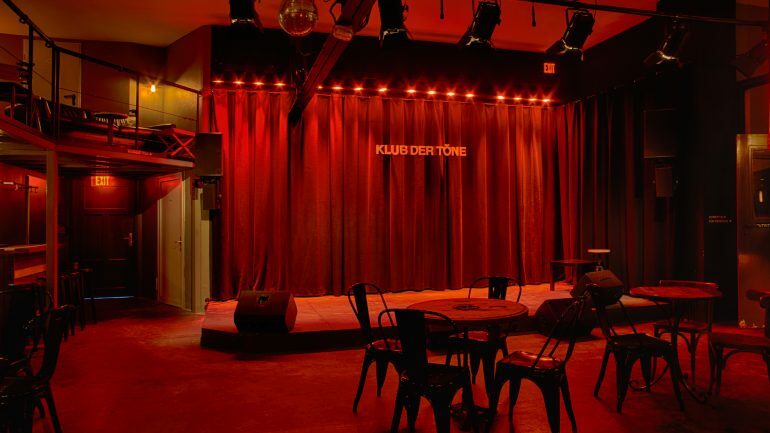 Klub der Töne is my own jazz club in an old warehouse space in Cologne, Germany. I literally built the entire club myself - the stage, the curtain, the bathrooms, the bar. Also, I did the interior design and outright every piece of furniture or equipment was hand-selected by me. The club can fit up to 190 people, has great acoustics and is perfectly set up for live gigs.The main room includes an open floor where you can sit up close to the band, and a small balcony level where you can relax in cozy couches while taking in the scene below. When we don't have shows, the club is rented out for weddings, birthdays and cd releases. Two industrial warehouse spaces converted to rehearsal rooms for more than 250 bands: art olive (Cologne, Germany) is a music rehearsal room center that I built over many years. I now run it with my wife Dana who joined the company in 2003. 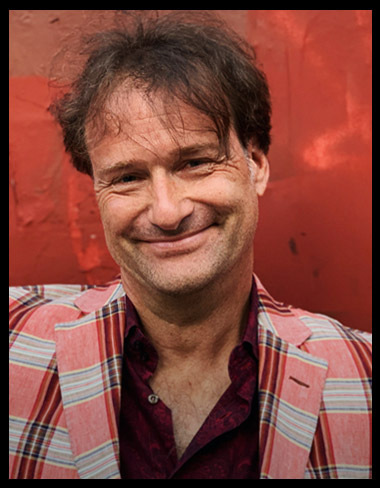 I started the first building in 1993 when I couldn't find a rehearsal space after moving back to Cologne at the end of my music studies in Holland. There was an overwhelming demand for well-insulated, professionally built rehearsal rooms, as it turned out. 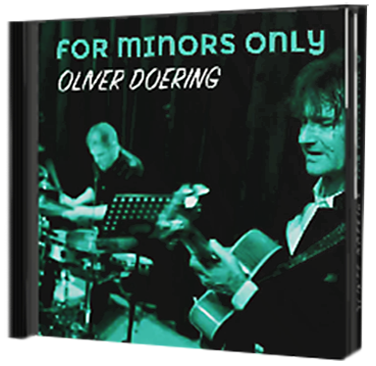 Over 20 years, art olive slowly grew from a small basement with eight rooms into a huge rehearsal center for musicians of all kinds and styles. 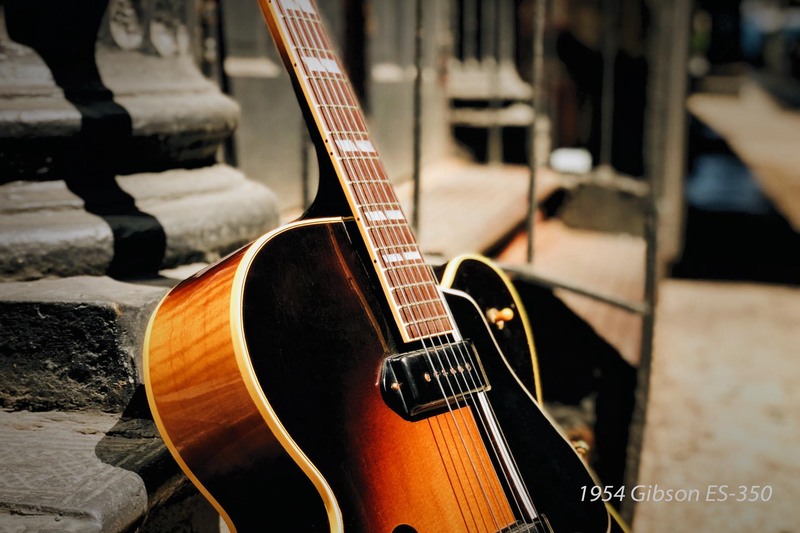 I love my vintage Gibson guitars and created a vintage guitar YouTube channel with live demos. 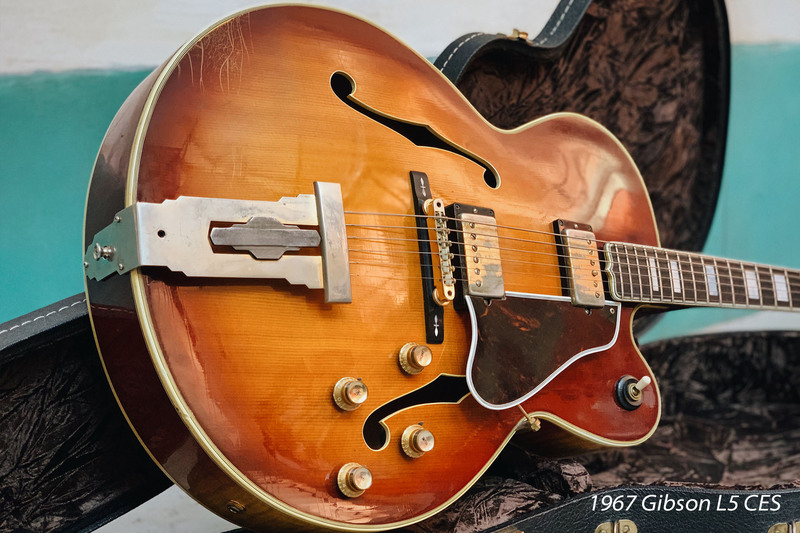 At Vintage Guitars & Gear, I introduce and explain many great guitars from the 50s and 60s. Over the years, a small guitarist community with a lot of interesting guitar talk has formed. 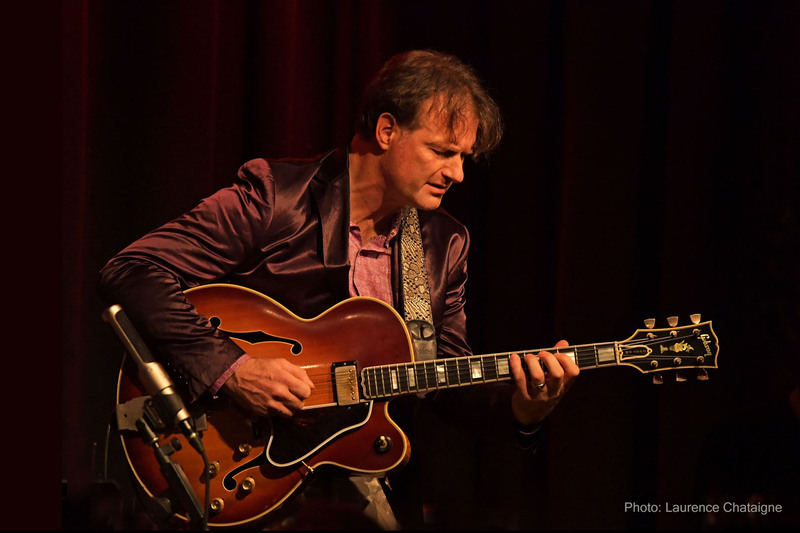 In my videos, I combine high quality live recordings with information about everything that was involved in the chain. 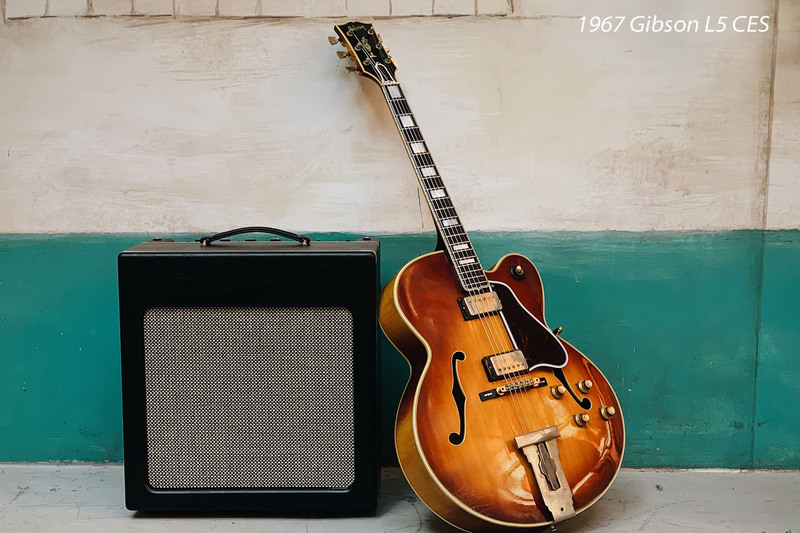 From the guitar over the PUs and strings to the FXs, the amp and the speakers - you'll learn exactly what was used. I always liked designing my own furniture, room deviders or light installations. Since I love loft living, I have converted several warehose spaces, some of them for business, others as a personal work and living space. In the course of the years I've worked on so many projects, that I today design spaces like Tonkunsthalle or Klub der Töne without an architect or interior designer. At the club, we used an old crane as the bar, built bathrooms out of recycled floor materials and machine parts, created light installations out of industrial metal beams, used oil drums as tables and basically made the entire venue a piece of art. I also make web design like this site and basically all others that are in some way related. I learned programming - which as a musician doesn't seem to be the most likely thing to learn. Yet, as a design person, I think websites are a great way to communicate and be creative at the same time. 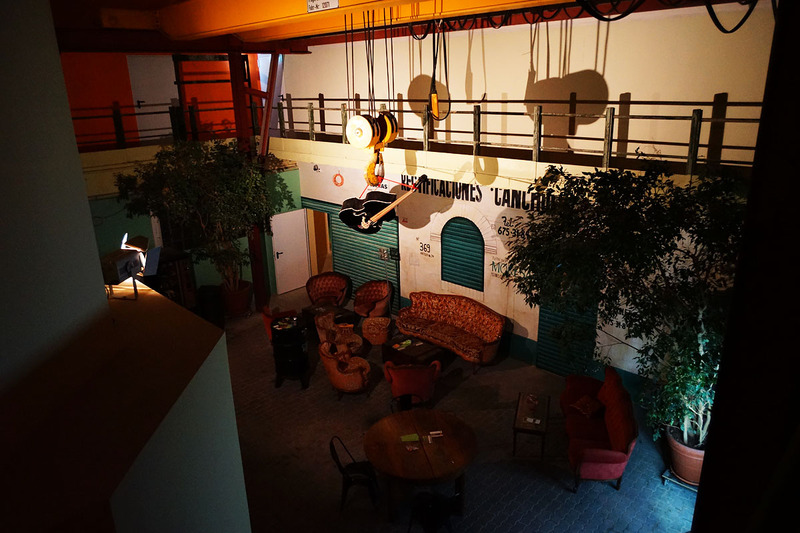 Tonkunsthalle, our rehearsal room center with hundreds of practice rooms, several recording studios and the club. 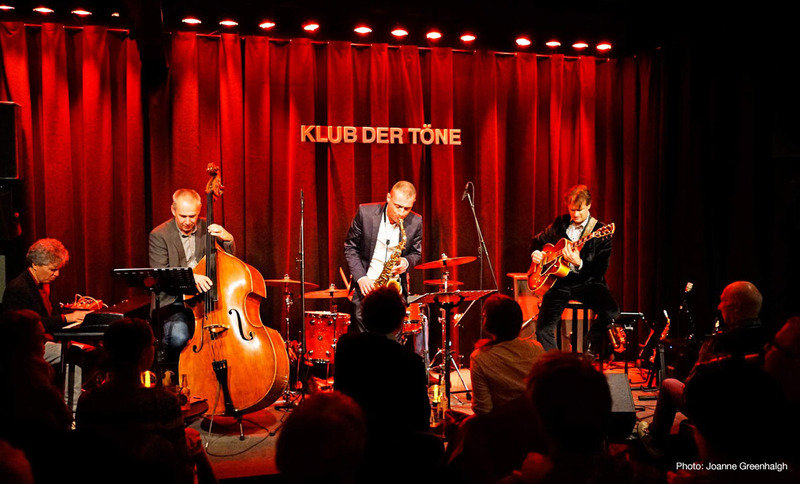 Klub der Töne - my own jazz club, entirely self-designed, built especialy for my monthly show Orange Sunday. 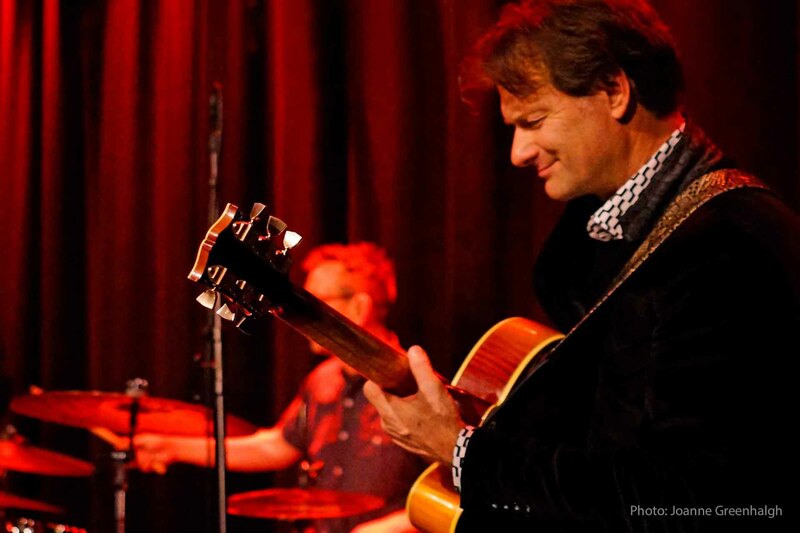 The Orange Sunday takes place the first sunday of every month with changing musicians and spontaneous guests. 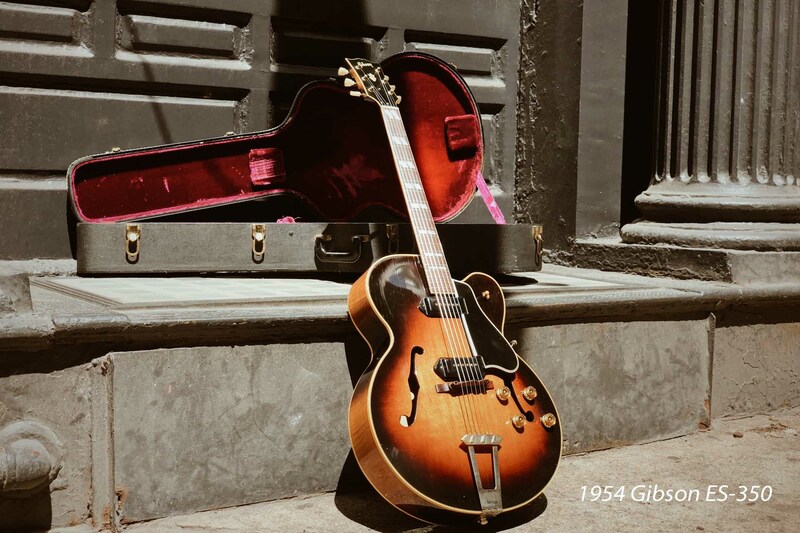 I love my vintage Gibsons! 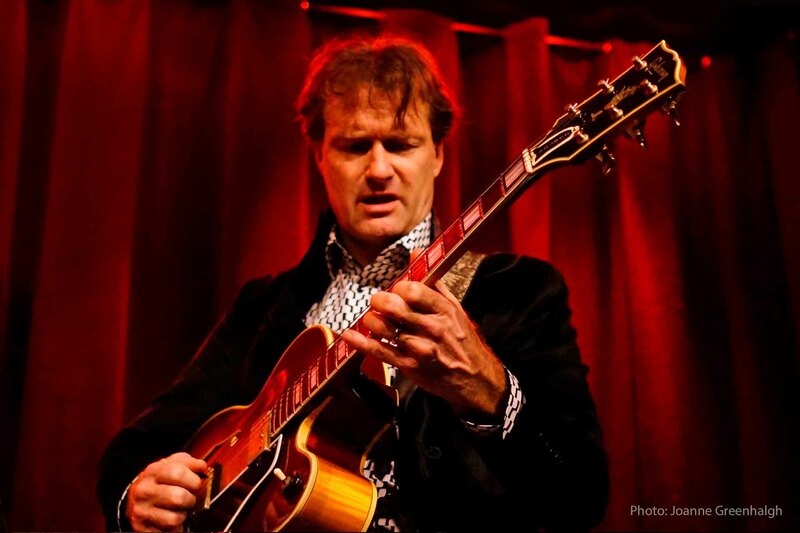 I have been playing vintage Gibsons since many years. 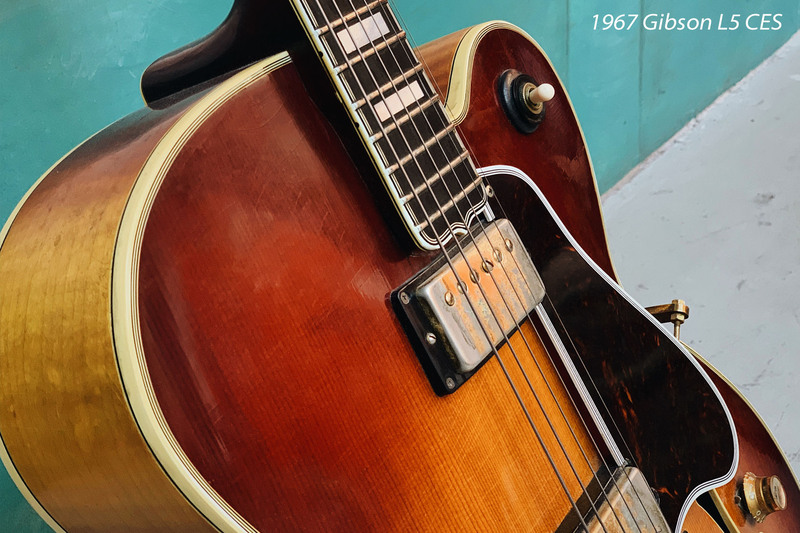 No new (or somewhat newer) guitar can compare with the vibe and sound of a 50+ year old instrument that is broken in like you favorite leather jacket. 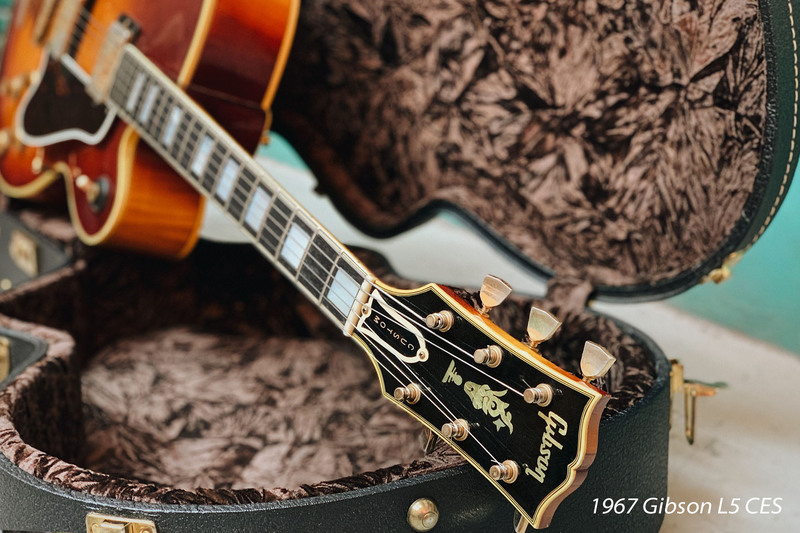 Once you have found the perfect guitar, you know it! 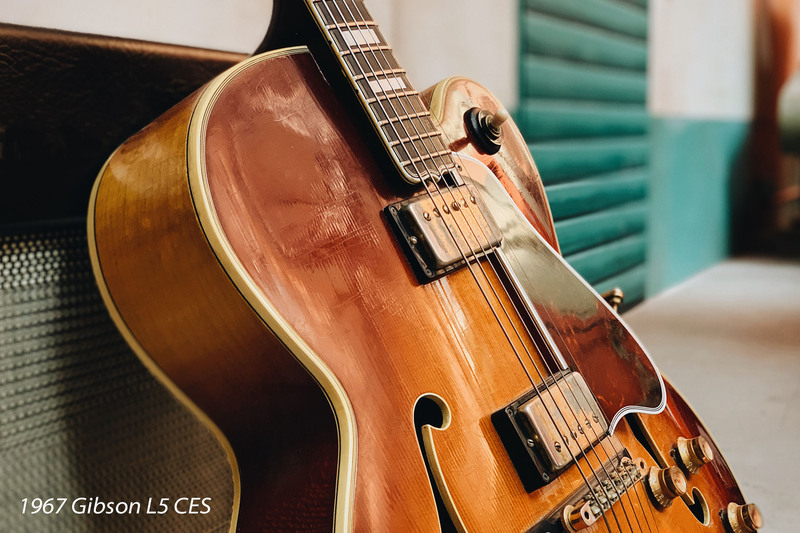 When you stop tweaking sounds or even thinking about replacing pickups and other appointments, you will forget about all of this and simply express yourself in music. You know how great the guitar is when you actually forgot you were playing one and the music comes to life. 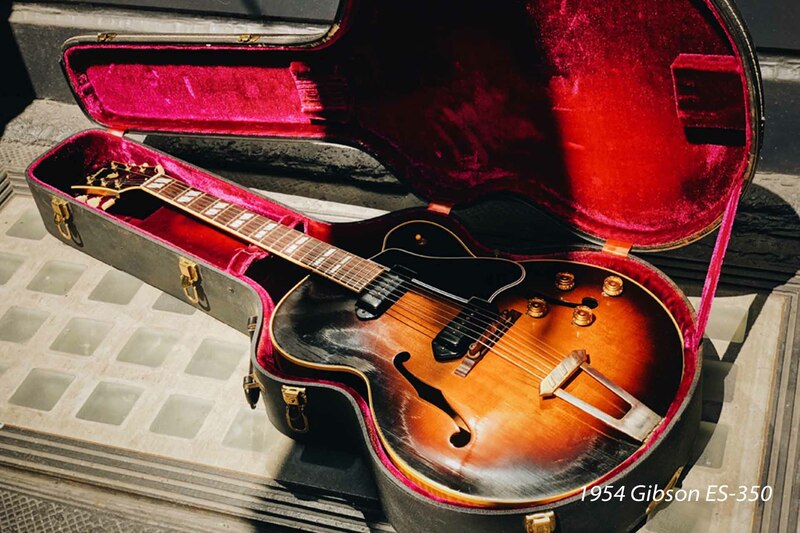 I by now have a collection of fine vintage Gibsons, some of them shown here for you to enjoy. If you are interested check out my Youtube channel Vintage Guitars & Gear. 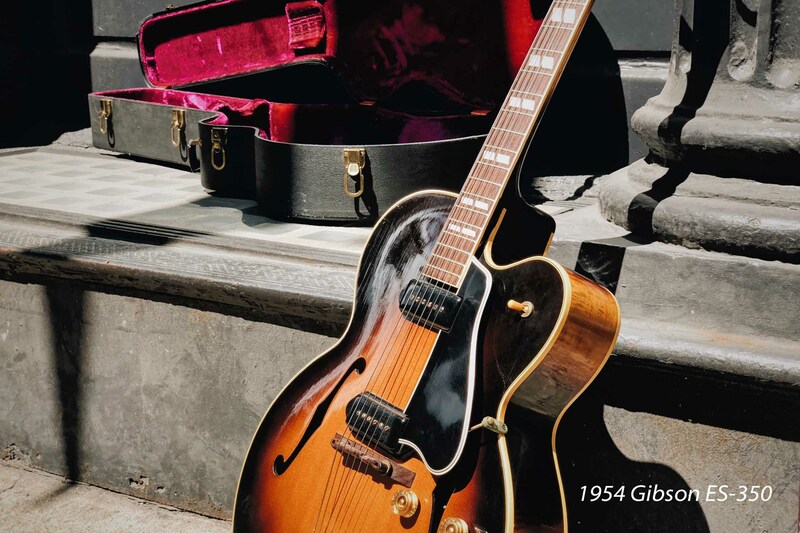 Looking for a vintage guitar to buy? Feel free to email me.! 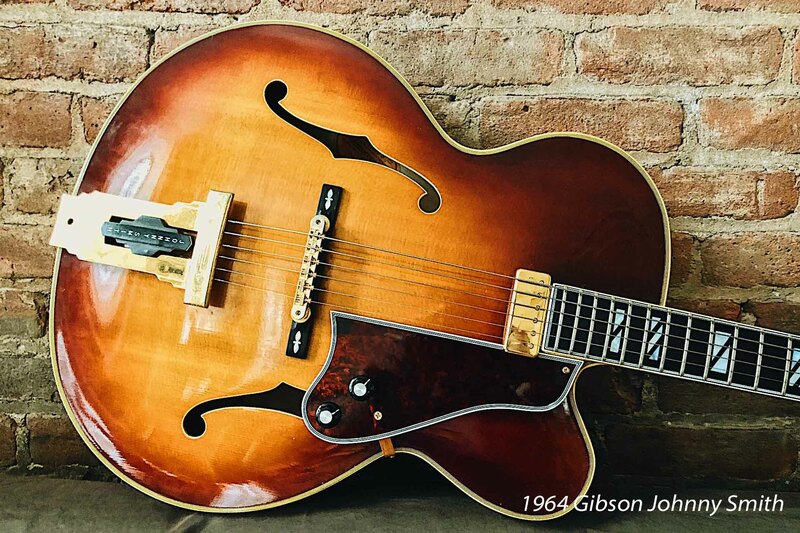 This is a beautiful sounding ES-350 from the few years when Gibson made some of them with a carved top. 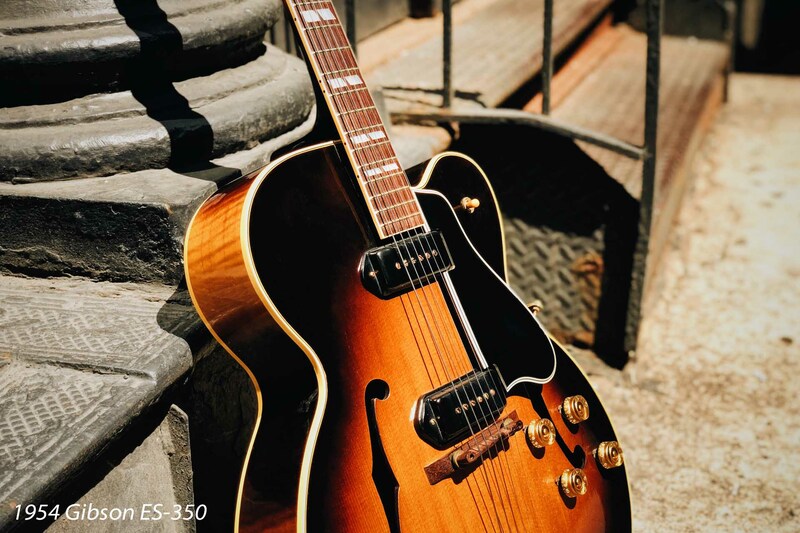 The P90s produce an incredibly rich, smooth, fat, compressed creamy tone - you never want to put down this guitar. All original with no modifications or flaws this is a rare find! It has vibrant sunburst finish with a nitrocellulose lacquer that lets the wood breath and sound. 1" 11/16th nut and a somewhat chunkier neck with a rosewood fingerboard. Single line Kluson gold tuners, original compensated adjustable rosewood bridge, beveled 5-ply pickguard, original amber barrel knobs and 3 way switch, split-parallelogram mother of pearl inlays, trapeze gold tailpiece. The carved top makes a big difference (as one might think) - the voice of this instrument just rules! Compared to other 17" P90 jazz guitars this one is just outstanding. 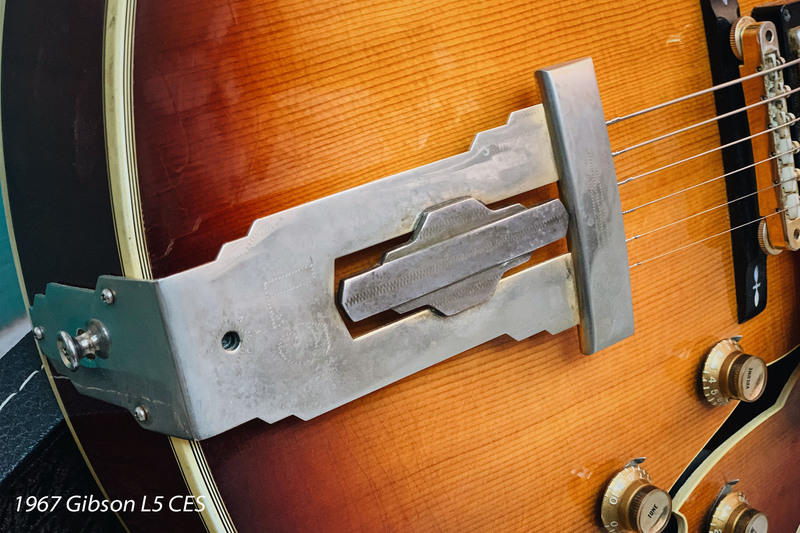 For many years I wanted a vintage L5 (Wes' guitar) which was not easy to find: The good ones that sound great, have been treated well, are unmodified and - when you're lucky - also look beautiful are hardly ever for sale. 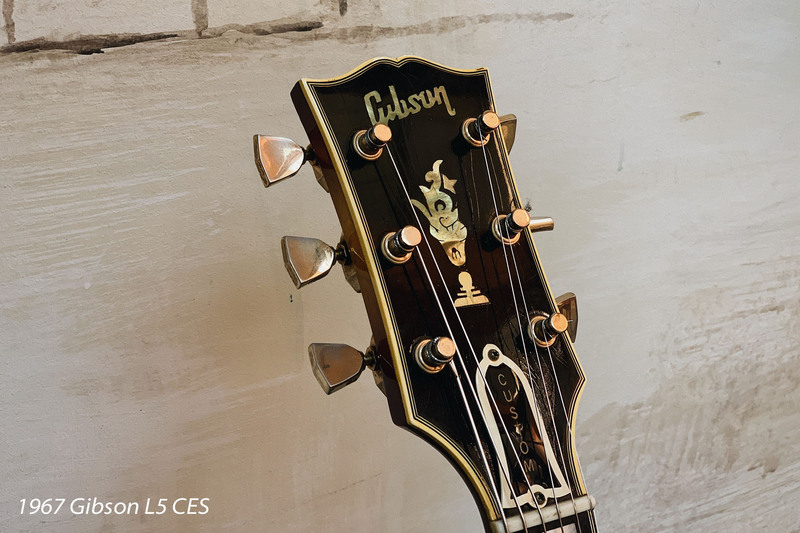 My 1967 L5 C-ES had everything I ever dreamed of: Atypical for that year, it has a round cutaway, 1" 11/16th nut and medium neck. When I first played it at a store in London it was love at first sight. From there, it got better. 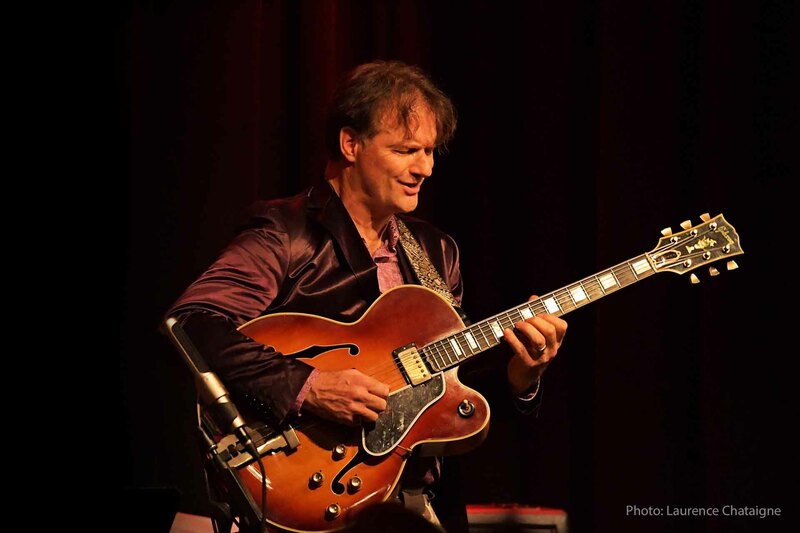 Playing hundreds of gigs with it, I learned how versatile and powerful it is. 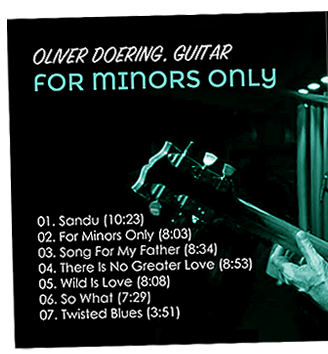 It has every beautilful jazz guitar sound you could possibly want for. The original Pat# sticker PUs sound warm and rich. 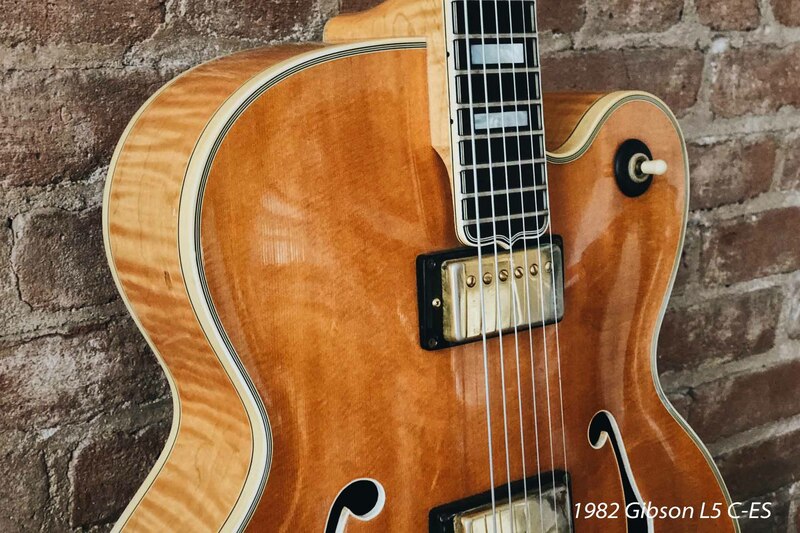 1" 11/16th nut, ebony fingerboard, waffle back tuners, tune-o-matic bridge, beveled 5-ply tortoise shell pickguard, original amber top hat knobs and 3 way switch, block mother of pearl inlays, L5 gold tailpiece.